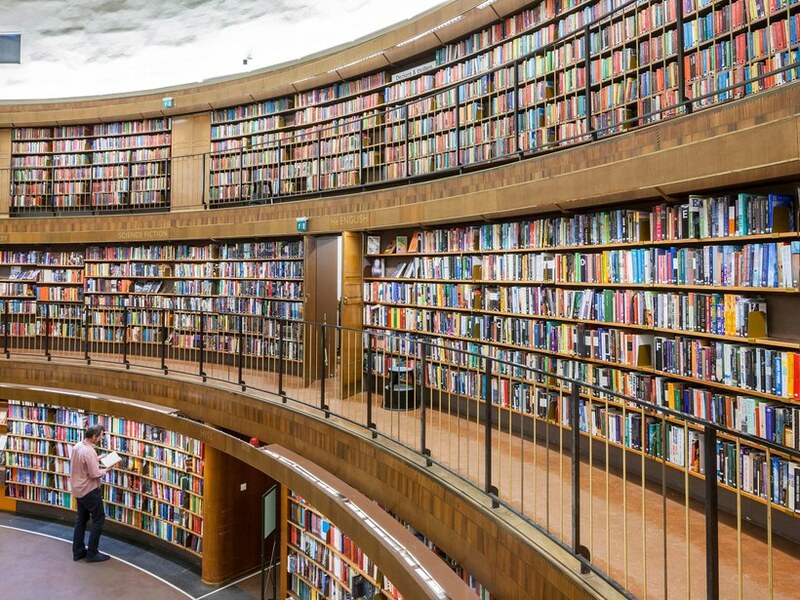 Some public libraries make your jaw drop… and others just make you want to drop your bags, sit down for a couple of hours and enjoy all that they have to offer. Libraries have always been one of my favourite places on earth – where I felt safe and quiet, excited and adventurous all at once. Scripps College Library, Claremont, California. 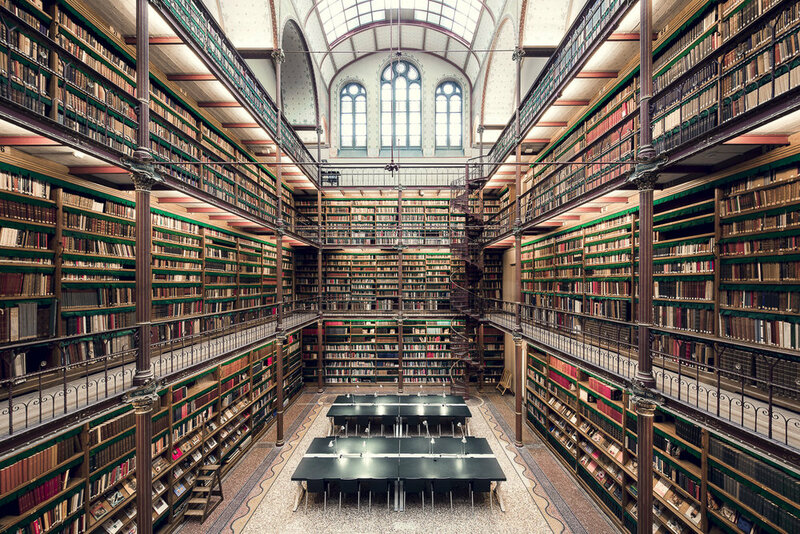 Library at the Rijksmuseum, from the Rijksmuseum website. 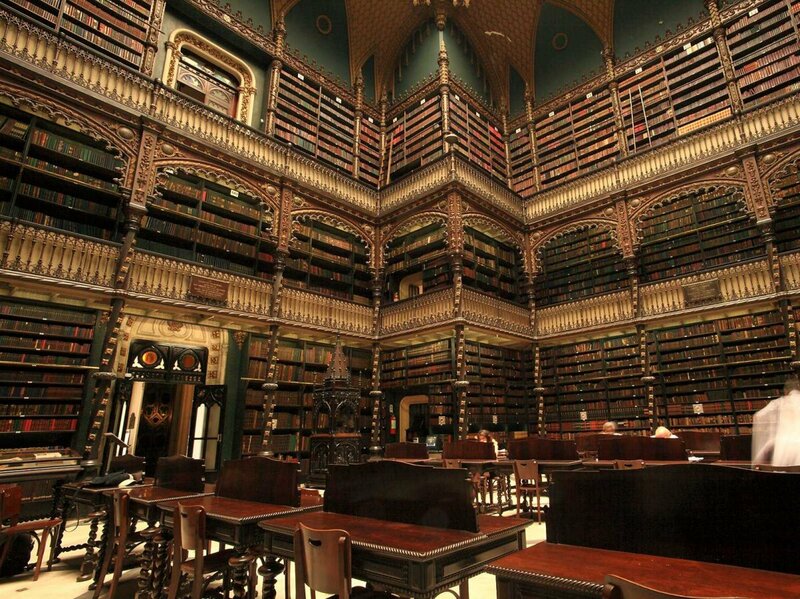 The Royal Portuguese Reading Room in Lisbon is just amazing and atmospheric, picture from Business Insider. 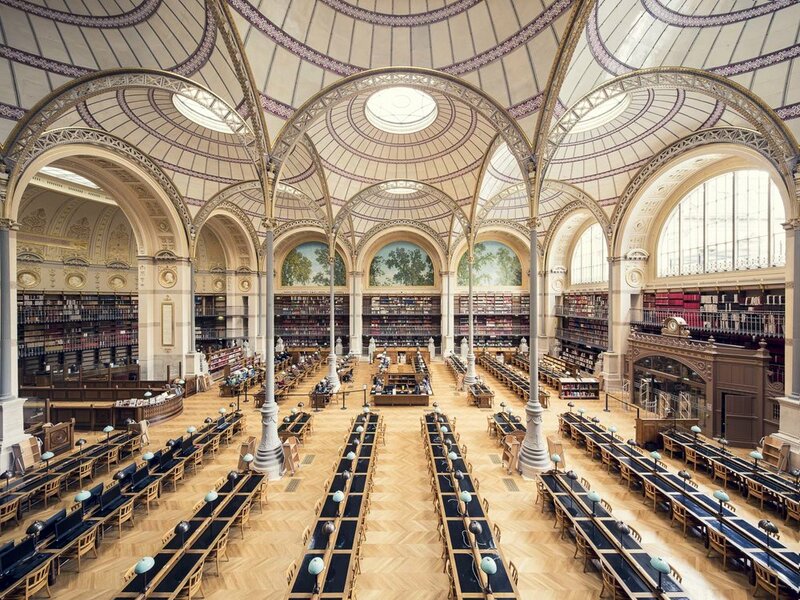 Photographer Thibaud Poirier has created a whole book with pictures of French libraries. This is the BNF Salle Labrouste. 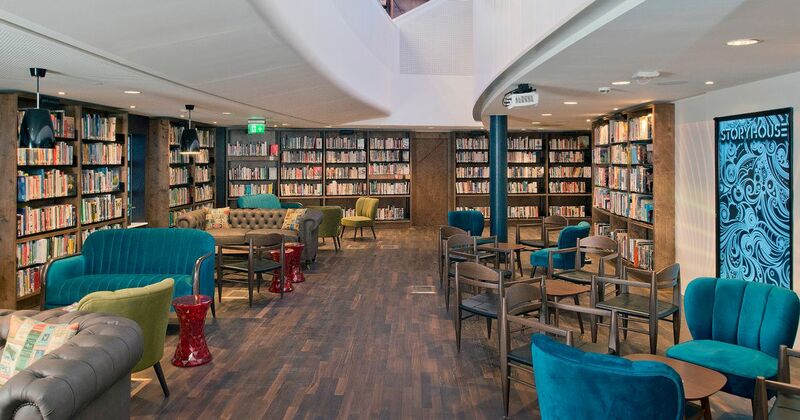 Public library in Stockholm, from CN Traveler. 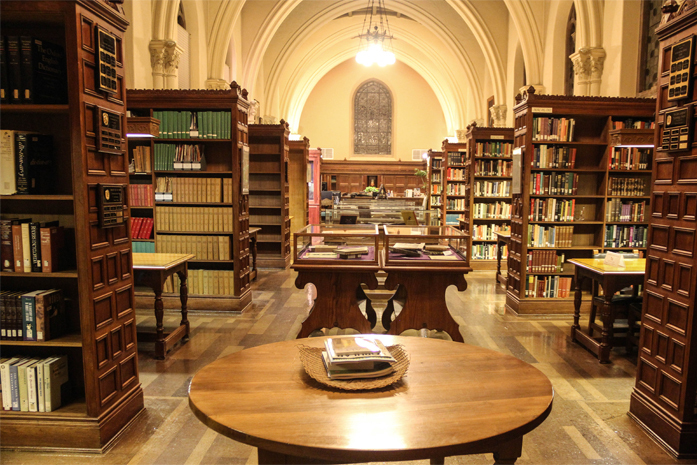 Of course, if you go to the ‘right schools’ you can get nice libraries too. The not quite public Eton College library. Let’s appreciate some council libraries before they disappear. Chester Storyhouse library, from Chester Chronicle. Libraries and bookshops are my downfall. Despite the numerous ARCs I receive for review, I cannot resist adding to my TBR pile every time I enter one or the other building containing books. While it’s understandable that I try to save my already quite depleted wallet by going less frequently to bookshops (I’ve managed to reduce it to no more than 1-2 times a week! ), I’ve recently changed my policy about library loans. I was trying to be realistic and not borrow more than I could consume in three weeks, but my local librarian told me that if a book hasn’t been on loan for a year, it gets sent down to the basement of gloom known as ‘Reserve Stacks’. After a few years of gathering mould there, they are killed off. [I’m not sure if they get given to charity shops or pulped, everyone seems coy about that.] 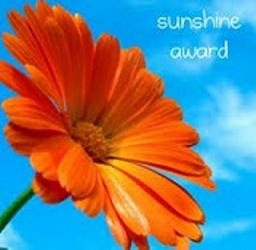 Besides, PLR are a source of author revenue. So I now borrow books merrily, try to renew them when I can, or return them unread and borrow them later again. What have I acquired this week? I bought Kate Briggs’ This Little Art, a long essay about the art of translation, with many revelatory examples. All of the readers of translated literature in my timeline have been raving about this book, and as an occasional dabbler in translation myself, I had to have a personal copy, so I could underline passages of interest. I finally acquired Sebald’s The Emigrants (transl. Michael Hulse), which (it won’t surprise those long-term readers of my blog to hear) is one of my favourite books. Exile and loss, displacement and nostalgia – yes, please! I should have got it in German of course (yes, I’m still snobbish about preferring to read books in the original where I possibly can), and I probably will at some point when I am next in Germany. The last book I got is not a translation from German but written by a German who emigrated to England. It was an impulse buy: Fred Uhlman’s Reunion. I’d vaguely heard of Uhlman, but have never read anything by him and I am always, always fascinated by stories about the personal experience of the rise of totalitarianism in Germany in the 1930s. At my local library, I was pleased to find Fiona Mozley’s Elmet, which I have already devoured. The sentences and the landscape and atmosphere are so perfect, I found myself seething with envy on every page. I also picked up Marina Lewycka’s The Lubetkin Legacy, for a comedic change of pace. I’ve read one or two of her novels in the past and enjoyed the voice of the outsider gently mocking life in England. Last but not least, I got A.M. Homes’ May We Be Forgiven, because American dysfunctional families are so much weirder and deadlier and more fun to read about than European ones. By each place was a name card, a microphone, a folder and pencil, a shining drinking glass with a sanitary paper lid, and a bottle of San Pellegrino mineral water still beaded from the refrigerator. 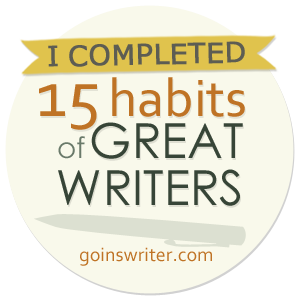 Thomas Squire found his name looking up at him, and sat down, laying his briefcase before him… He opened his folder. In it was a ballpoint pen, clipped to a timetable of the sessions of the conference with a list of speakers. Tucked into the pocket of the folder were some foilwrapped perfumed tissues for refreshing the face and hands, and a map of the city of Ermalpa and surroundings, presented by courtesy of the local tourist board. As a former conference convenor, this feels to me more like a checklist for event organisers. 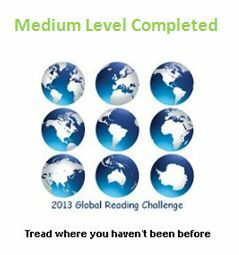 Would you read any further? This was a serendipitous pick from the library, but hey ho, you can’t win them all. There is something aspirational (and yet something that feels so right and natural) about staircases in libraries. Why would you ever not have a spiral staircase or a ladder if you have a large home library? Ah, maybe because the ceilings are too low? In the house in England, where my younger son’s bunk bed might be too tall to fit, I think I can safely reach even the highest shelf without a stepladder. House on the Rock, Wisconsin. From its website. Sobre spiral in metal, from Pinterest. OK, this is a professional bookstore in Mexico, but how inspirational is this? From CNN website. Home libraries are all very fine and dandy, but nothing beats the variety and serendipity of a well-stocked public library. Even better when the library is in a hard-to-reach place or else a magnificent architectural feat. Here are some of my recent favourites. The Reading Room at the British Museum, where I wrote most of my thesis, before the library moved to its new building.